Softens corns, calluses and dry rough areas. Stimulates circulation. Great for elbows, knees and hands. 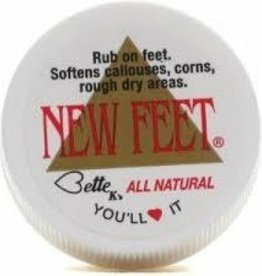 - 4 Ounces - Take the aches out- Eliminates foot odor- Soften corns, callouses and dry rough areas- Great for elbows, knees and hands.